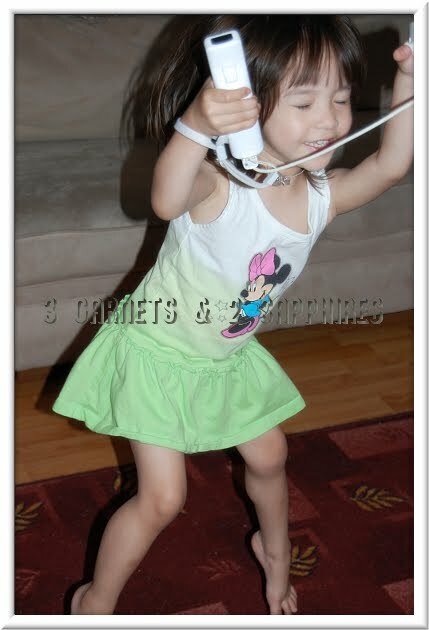 During the past couple of weeks, the children really got into this new Wii game. They love playing it and I love watching them get all their energy out. Here is a photo of our 3yr old playing. The funny thing is that the activity she is playing has nothing to do with jumping.